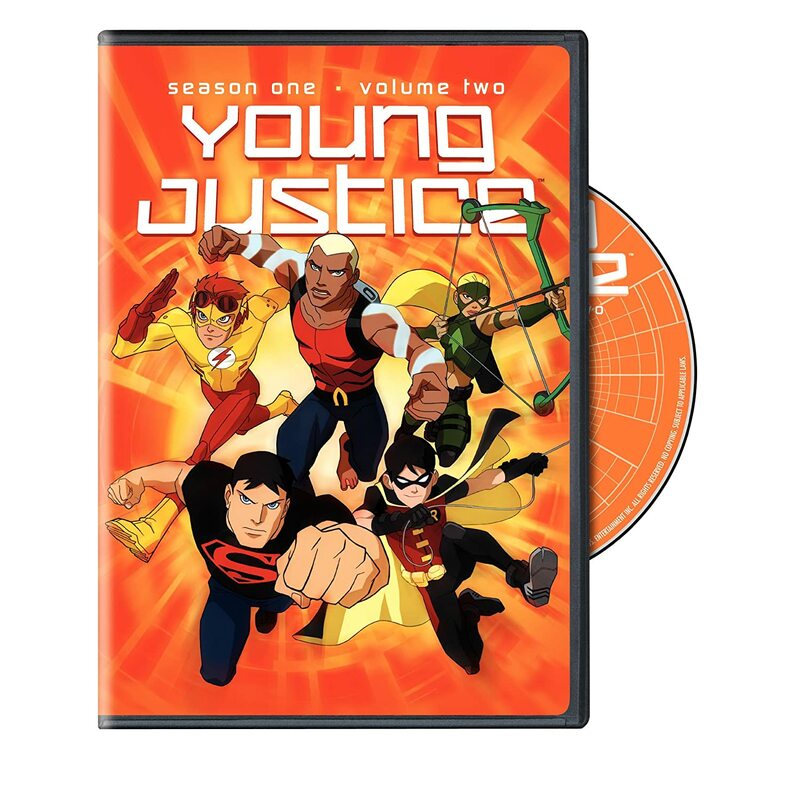 While Season One of teen superhero show Young Justice premiered in 2010 and is still being rolled out on Cartoon Network in 2012, the DVD releases for the program are being doled out at an even slower pace. This most recent release, which corresponds with the airing of new episodes during the DC Nation segment, contains only four episodes. “Bereft”: The team awakens in the middle of the desert without any memory of the last six months. In order to complete their mysterious mission they must locate the other members and piece together what happened. “Targets”: Red Arrow, formerly known as Speedy, calls upon Aqualad to help him protect a peace mediator who has been targeted for assassination. Things become complicated when the mediator turns out to be Lex Luthor. “Terrors”: M’gann and Superboy go undercover as a couple of super villains in Belle Reve penitentiary to stop a prison break. “Home Front”: When Artemis and Robin return to their secret hideout they find two robots similar in construction to Red Tornado have taken over the lair, captured their teammates and is threatening to kill them all. The two heroes must find some way to rescue the others while dealing with their own fears and doubts of whether or not they can succeed. The episodes themselves are very adult oriented and are some of the best of the season. Along with the usual heroic battles we’ve come to expect from this genre, there is a lot of character development as we see the team dealing with a lot of their emotions and personal issues. The group is beginning to gel well with one another and the stories are interesting and exciting. The biggest problem is the sporadic release of new episodes on Cartoon Network. They’ve changed time slots and days and have been just randomly shown in small clusters and then disappear for month at a time. It makes it quite difficult to remember what happened in previous episodes and the bigger plot arc involving some unknown villains behind the scenes is completely lost because of this. Hopefully, with the start of the new DC Nation programming the season may come to an actual conclusion and things will flow more smoothly. A handful of episodes slip out onto DVD.